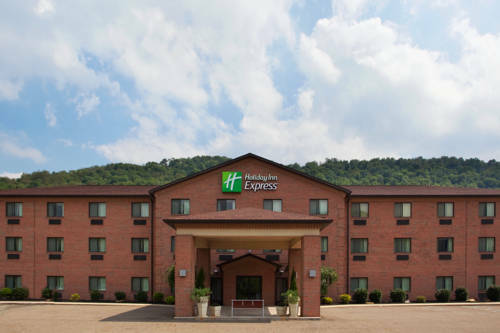 Stay at Holiday Inn Express Newell - Chester, WV HotelSituated just minutes from the exciting Mountaineer Casino, Racetrack and Resort, our Newell, WV hotel is known for its prime location and outstanding amenities, such as free Wi-Fi access throughout the hotel. Book with us today and find out why our hotel is the favorite of both leisure and business travelers.When it comes to meeting the needs of corporate travelers, we exceed every expectation with perks such as a 24-hour business center featuring free high-speed Internet access, copy and print services and a personal computer. In addition, we are located close to the home offices of Homer Laughlin China Co., the makers of Fiestaware, as well as many other local businesses.Our hotel's property near Chester, WV is an excellent spot for leisure travelers, too, since we're close to great area attractions, such as Lou Holtz/Upper Ohio Valley Hall of Fame and Homer Laughlin China Outlet. Enjoy nearby activities like picnicking at Tomlinson Run State Park, seeing a concert at the Post-Gazette Pavilion or playing blackjack and poker at the Mountaineer Casino and Racetrack.If you are looking for hotels near Chester, WV with choice amenities, consider staying at our property featuring an on-site fitness center, an indoor pool, a free, hot breakfast bar and free high-speed Internet access. We look forward to serving you soon here at the Holiday Inn Express Newell - Chester, WV Hotel. Locally owned, homestyle cooking. They are now completely non smoking. Italian cuisine and more, they offer gift certificates as well which make great gifts. Our meeting room holds approximately 40 people comfortably. There is a Dollar Store conveniently located right beside us. Thorough-bred racetrack Casino Spa Fitness Center Try our gambling package or gift card package. Dinner show venue featuring national headliners. No seat is more than 65 feet from the stage, creating a very comfortable, intimate setting. Learn what it's like to live behind bars -- for an hour or so -- in this decommissioned prison. Has an electric chair and gallows, too, but just for viewing.